Deep-fried crab claws (椒鹽肉蟹鉗) - this was also on the menu the last time that The Hungry Tourist came, and everyone was very, very happy about having these big, delicious claws. I always used to think that deep-frying crab claws was a poor preparation and a total waste of a wonderful ingredient, but now I can see how the salty batter actually brings out the natural sweetness of the crab meat. Stir-fried soft-shell turtle shell (鳳城炒水魚裙) - it's been a while since I last had this dish, and it's a nice change from having those thick chunks of gelatin from mountain turtles. 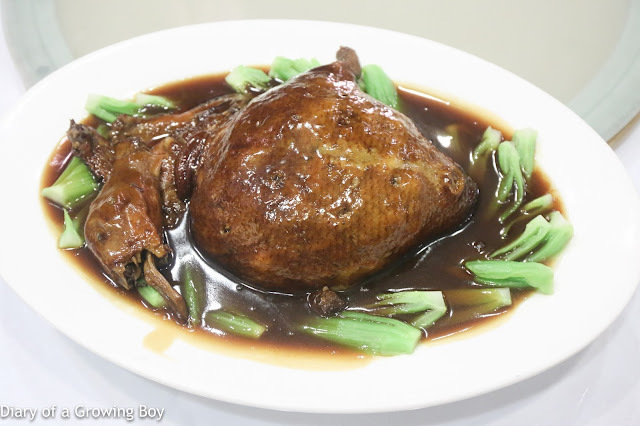 The chef's knife skills have always been super, and here we have ribbons of the gelatinous skirt of the soft turtle shell, along with bean sprouts, Chinese celery, chili peppers, spring onions, as well as deep-fried rice vermicelli. What made the dish shine, though, were the Indian almonds (欖仁) wok-fried on high heat. These were incredibly toasty, although perhaps just a tad too charred. 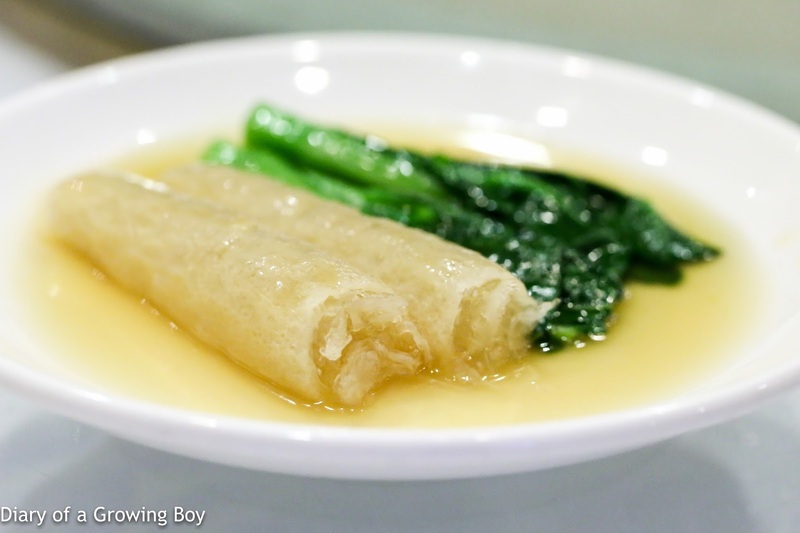 Imperial scholar's five-snake soup (太史五蛇羹) - the main event tonight, as it always is during snake season. Unlike most other commercially available versions, this one uses no corn starch to thicken the broth. 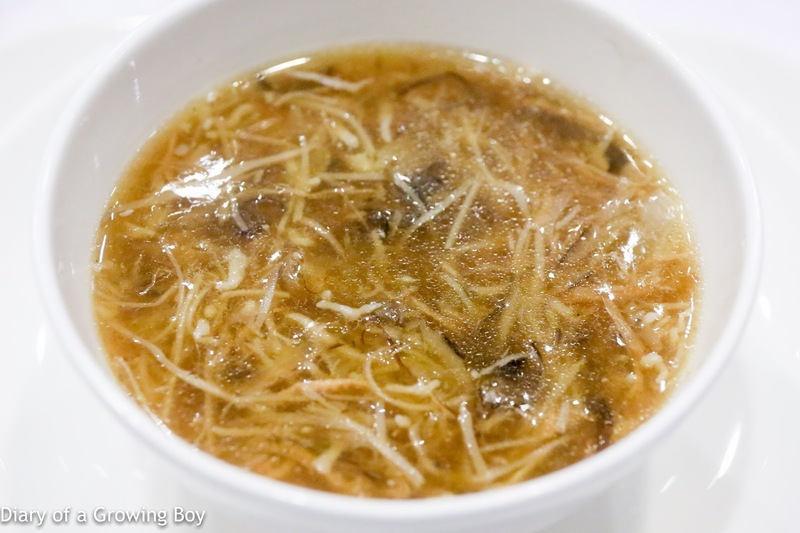 The broth was made with snake bones, which explains the depth of flavor. 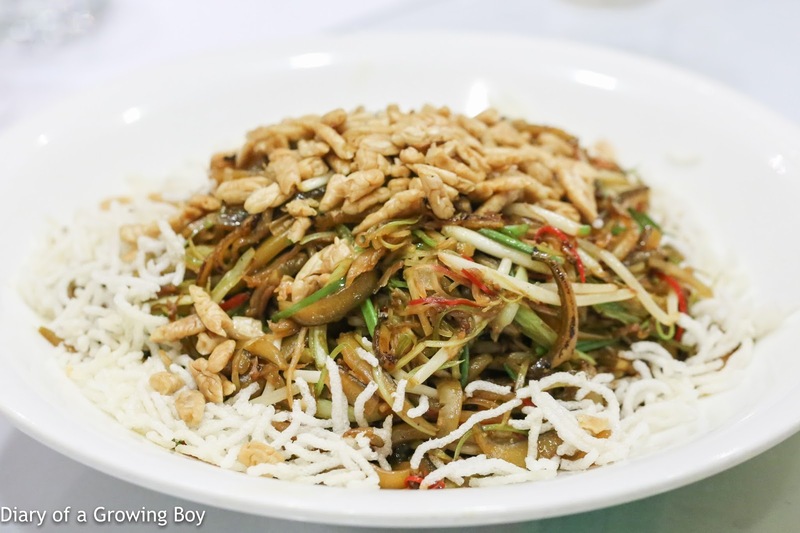 The five different types of snake meat have been incredibly finely shredded, along with chiffonade of aged mandarin peel, bamboo shoots, shiitake mushrooms, and fish maw. A really, really beautiful bowl. Actually, most of us had two bowls. I did add some of the condiments - including the amazing chiffonade of kaffir lime leaves, coriander, white chrysanthemum petals, as well as the crispy wonton skin. 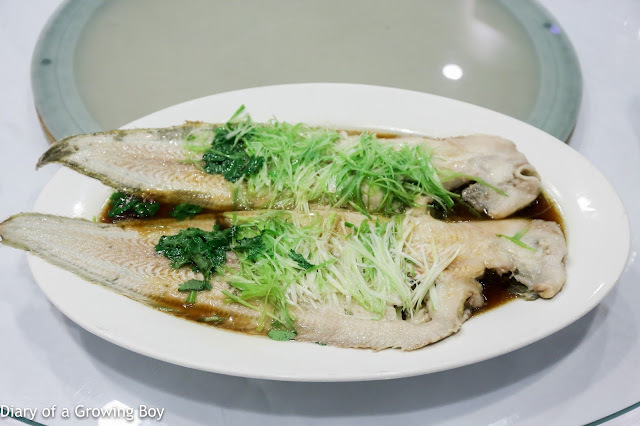 Steamed sole (清蒸海方利) - tonight the wild soles were perfectly executed. Usually the back would end up a little overcooked as the chef tried to accommodate the wings, but not tonight. Very yum. The two heads were taken by the Zhongmeister and the Hungry Tourist. Both were happy campers. 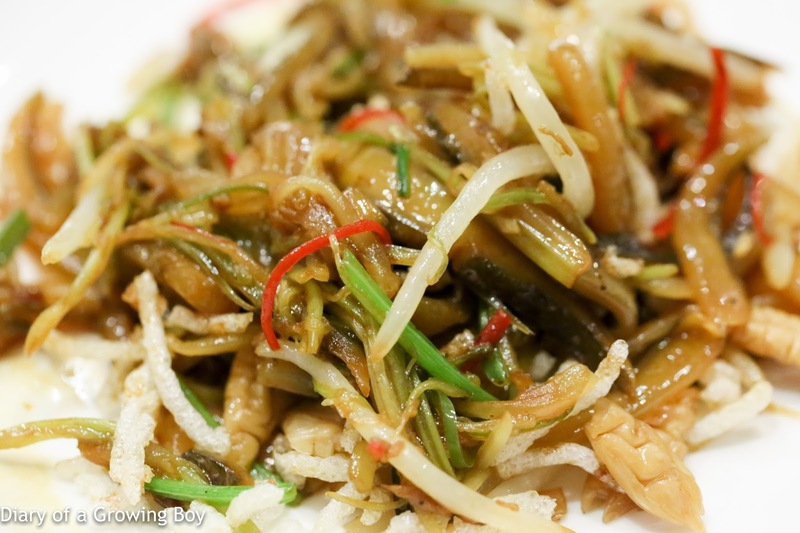 Stir-fried kailan with crab roe (蟹黃扒蘭度) - this was a dish I was having for the first time. This is the time of year when crabs fill up with roe, and I requested for a dish with this seasonal ingredient. What we got was very, very delicious. 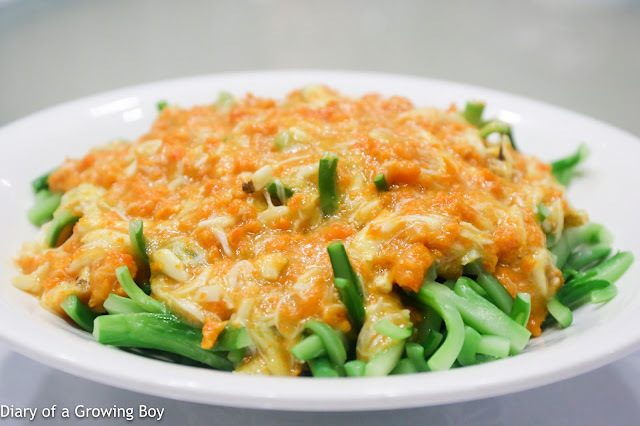 The kailan (芥蘭) was beautifully crunchy, and smothering it with crab meat and roe made us very, very happy. Fried glutinous rice with preserved meats (生炒糯米飯) - with cooling weather also comes preserved (and air-dried) sausages, which gives us this dish. So, sooooo delicious. 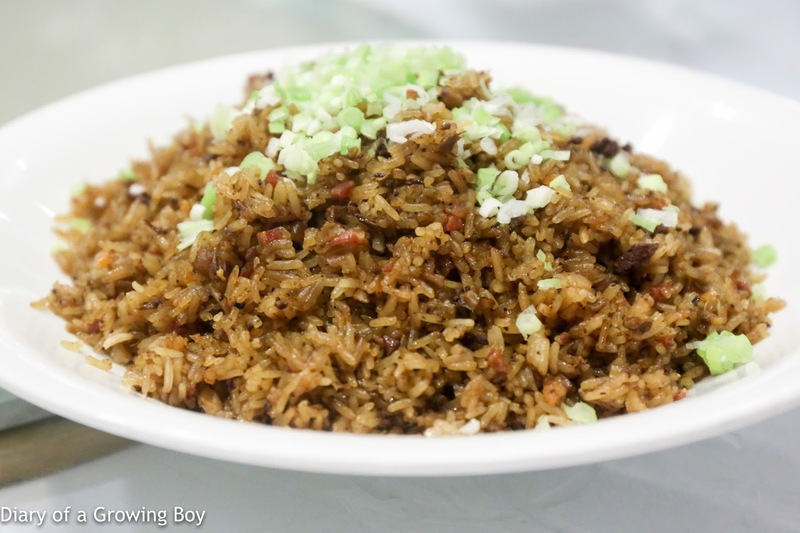 Easily the best version of this rice I've ever had. 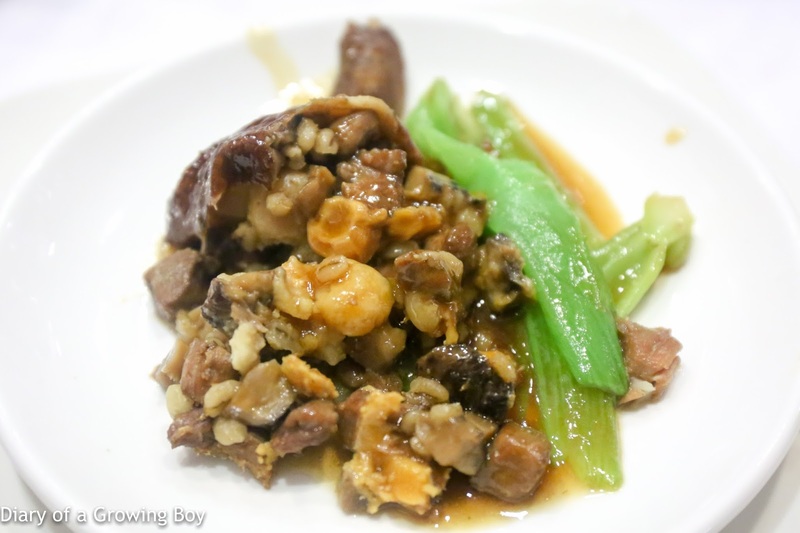 Double-boiled ginkgo nuts and lotus seeds (銀杏燉湘蓮) - always happy to have this hearty dessert, with jujube, ginkgo nuts, lotus seeds, and apricot kernels. 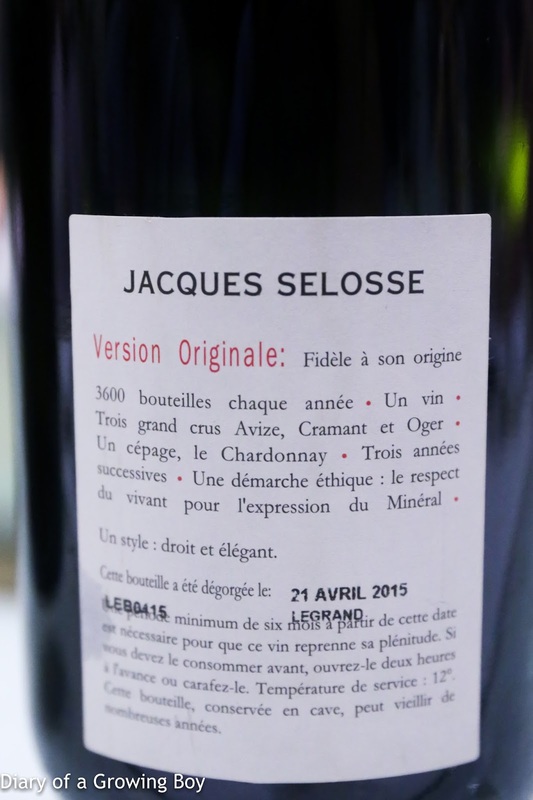 Jacques Selosse V.O., dégorgée le 21 Avril 2015 - lovely caramelized nose. 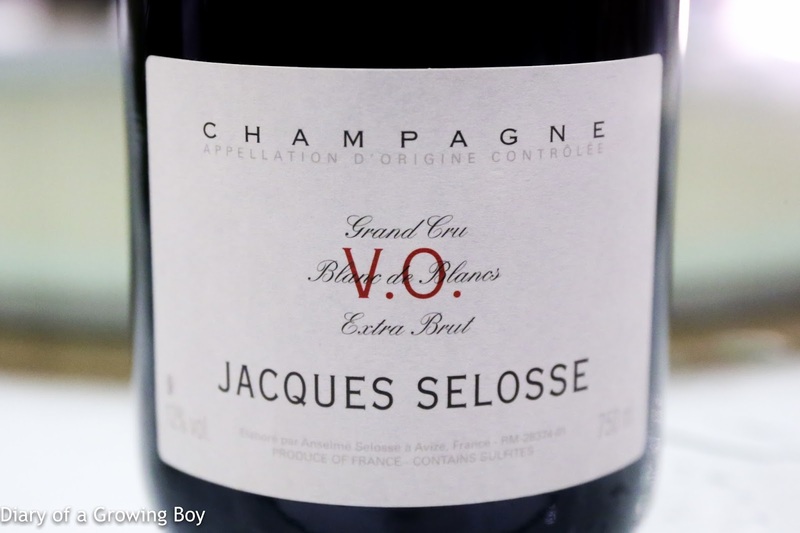 Wonderful balance between acidity and ripeness. 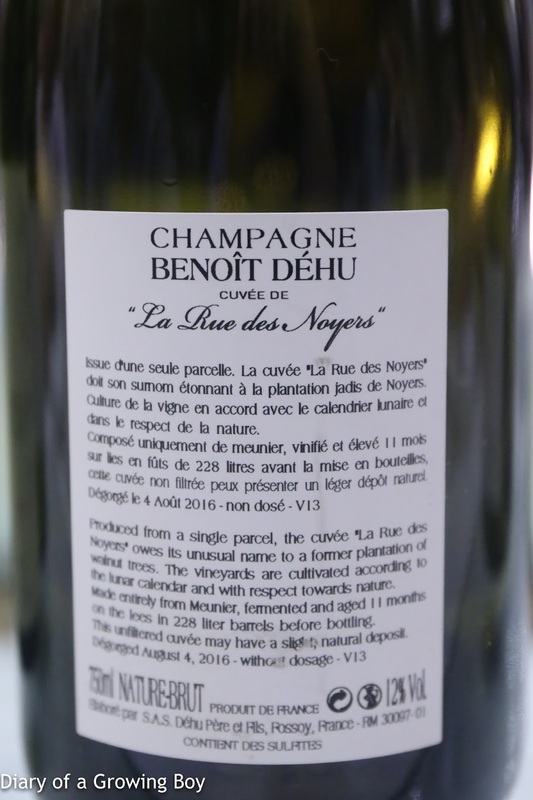 Benoît Déhu Cuvée La Rue des Noyers, dégorgée le 4 Août 2016 - richer on the nose thanks to pinot meunier, with good acidity. 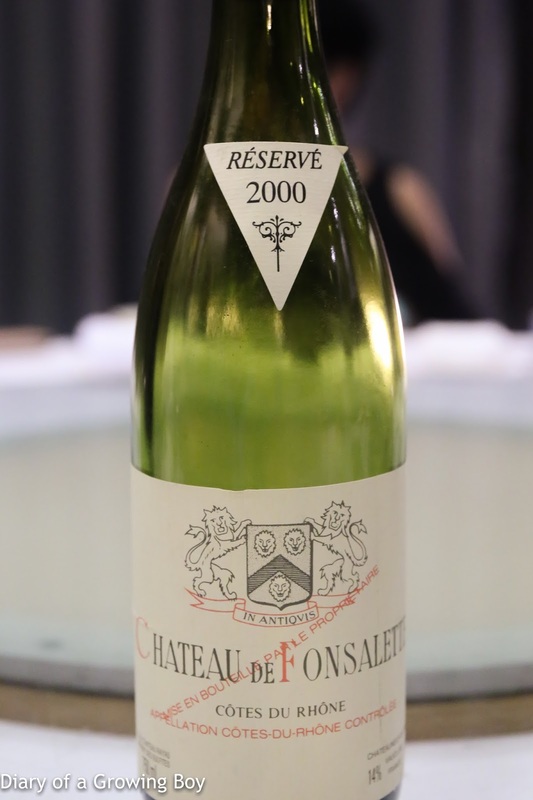 2000 Château de Fonsalette Rouge - opened for 1 hour prior to serving. Initially a little muted but later showed some leather and game notes. 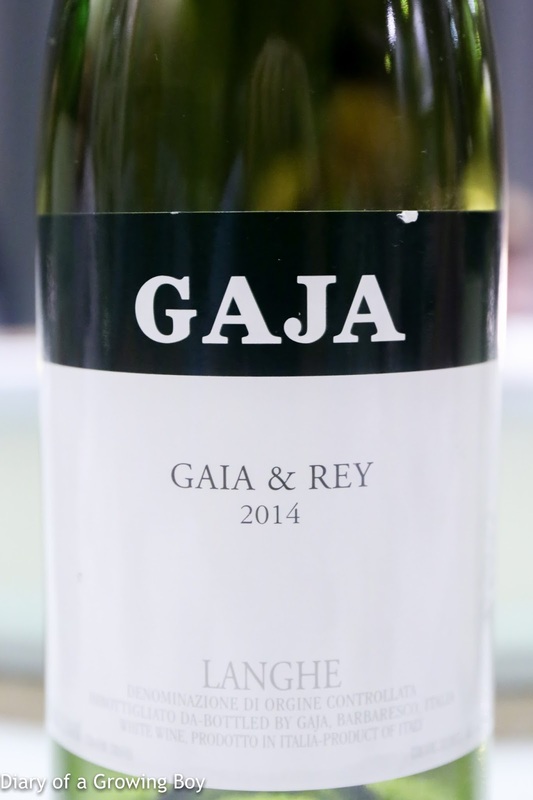 2014 Gaja Gaia and Rey - tropical fruits, very fragrant. 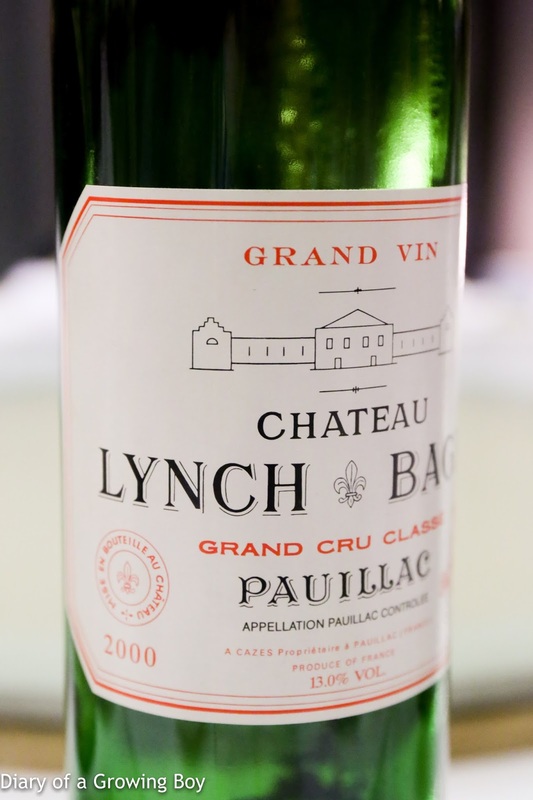 2000 Lynch-Bages - opened for 1½ hours before decanting. 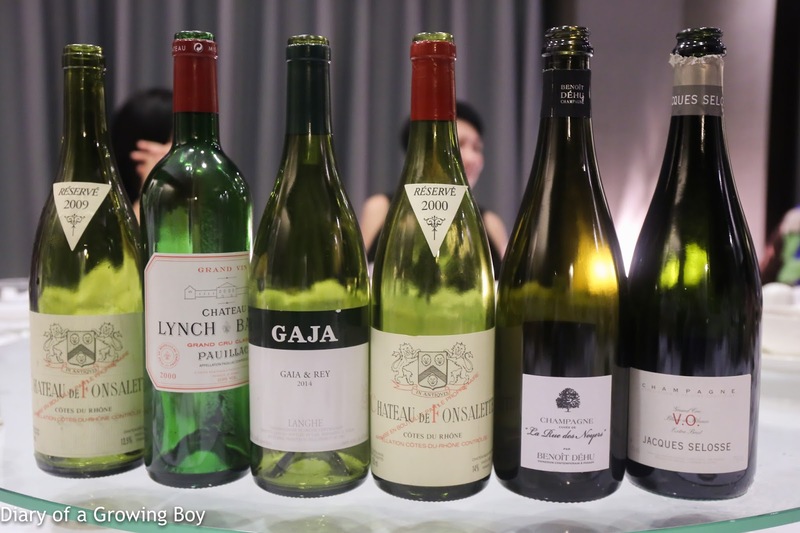 Very smooth with good acidity. 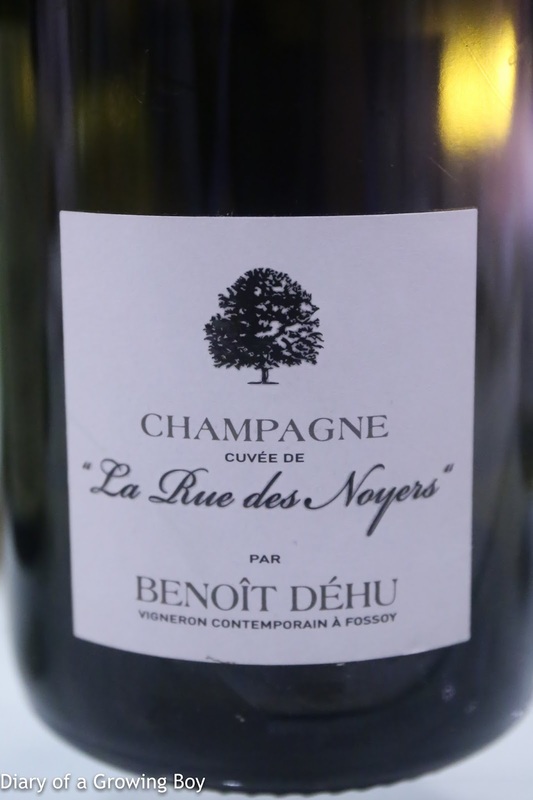 Fragrant with smoky notes and sweet fruit. 2009 Château de Fonsalette Blanc - very fragrant nose, a little minty, almost like a chartreuse.